DAVID LE/Staff photo. 2/14/15. 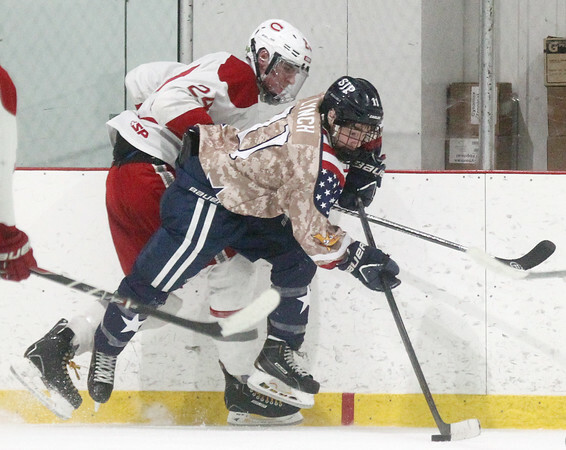 St. John's Prep junior winger Kyle Lynch (11) keeps his feet moving while controlling the puck against Catholic Memorial junior defense Frank Cosolito (24).